These are the words that typically come to mind when we talk about great political change-makers, leaders who make their voices heard and accomplish great feats. And none are the words that come to mind when I think of myself: a serious, quiet, and sensitive person — an introvert through-and-through. This gave me some level of anxiety when I entered the Action Civics field. I cared deeply about student voice and improving civics education — but how could I, in my quiet ways, really inspire teachers and volunteers to build leadership and advocacy skills in their students? Speaking up in staff meetings required enough of my mental energy; what place did I have in training and encouraging others to go testify in front of packed rooms at school board and city council meetings? But here is the thing I’ve come to learn about advocacy: much of it happens behind the scenes, in quiet reflective spaces, and through as much listening as talking. And as adult allies and educators, we would be remiss to ignore these skills when teaching Action Civics to young people. According to Susan Kane, author of Quiet, introverts tend to feel most alive in quieter environments, without a ton of stimulation. It’s there that we’re able to absorb and process information, and think creatively about solutions to complex problems. But often the spaces in which we ask students to dig into Action Civics work are designed for extroverts: classrooms that encourage of large group dialogue and quick decision-making, environments in which whomever has the loudest voice or best articulated ideas can have the most influence. 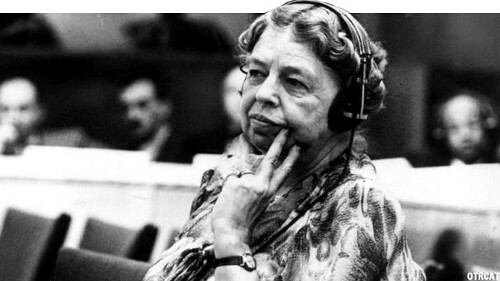 Eleanor Roosevelt, an icon for introverted advocacy. But when given the space, introverts can, and do, play critical roles in advocating for change. We are great listeners, capable of identifying subtle and important details in research and when hearing from issue experts. We are deep thinkers, who can bring original ideas to conversations when given time to think through them on their own. We often sweat the small stuff, like how well developed an action plan is, or how compelling a letter to a decision-maker sounds. And when the time is right, we will stretch beyond our comfort zone and get behind that podium to speak up about issues that matter to us personally. I know now that my introversion enhances my ability to be a leader and take action, rather than inhibiting it. 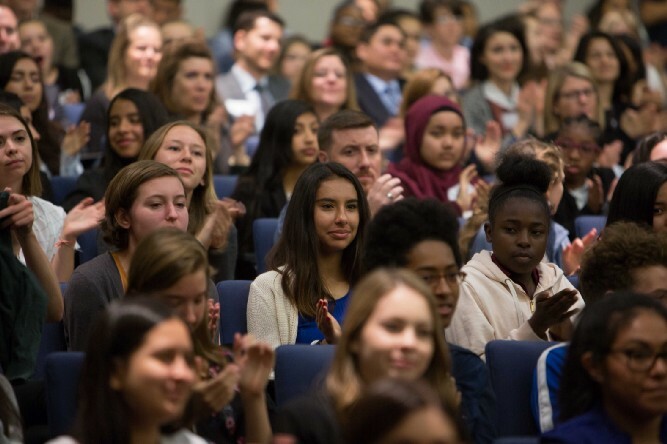 As Action Civics providers and educators, we would all do well to remind our introverted and extroverted young people of this too — to let them know their approach to advocacy will look different from that of others, and that they are simply creating new and different images of leaders from the ones we’re used to seeing. Leaders who are bold, powerful, and charismatic — just at a lower volume.